Whilst the information shared in the book and other bonus products are probably the most revealing insight into how to transform your business into a customer generating machine, we also understand that it can still be difficult to know exactly where to start, especially if you’re limited for time. That’s why we’d like to continue to support you in building the business and life of your dreams by offering you an incredible insider appraisal of your existing marketing… for FREE. 1) Your Local Marketing Scorecard – Find out exactly where you are today and discover which of the 10 profit accelerators are growing or slowing your business right now. Identify the key areas where you need to focus your efforts to get the best results as quickly as possible without wasting time or money in the wrong places. 2) Buyer-Ready Traffic Plan – We’ll help you to identify the keywords which are likely to drive paying customers into your business as well as an enlightening estimate of how much traffic you can expect and how much bottom line profit that could be worth to your business. 3) The Answers To Your Burning Questions – Throughout this 45-minute call, you will be able to tap into the help and advice from our senior marketing experts who will answer any marketing questions you have to help you get results quickly. 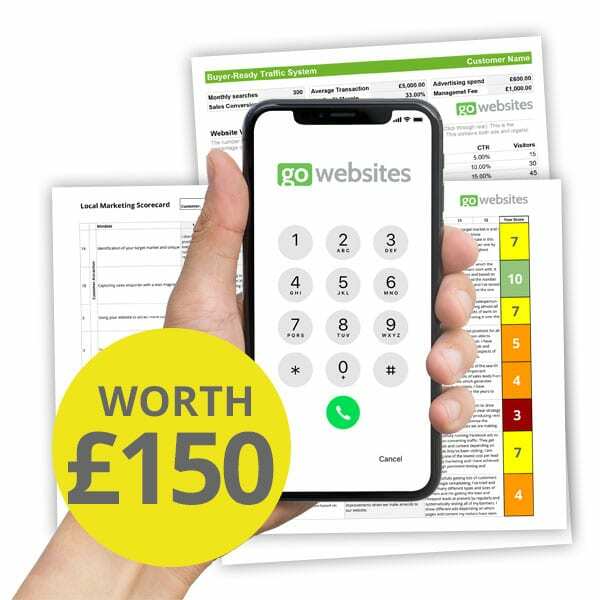 The information we reveal to help your business and the systems we use to produce it were previously only reserved for private consulting customers and would typically have cost £150+VAT. You can get it today for FREE if you book your session right away. Discovery calls are allocated on a strictly first come, first served basis and we reserve the right to return to a paid model if the demand continues to rise to an unmanageable level.